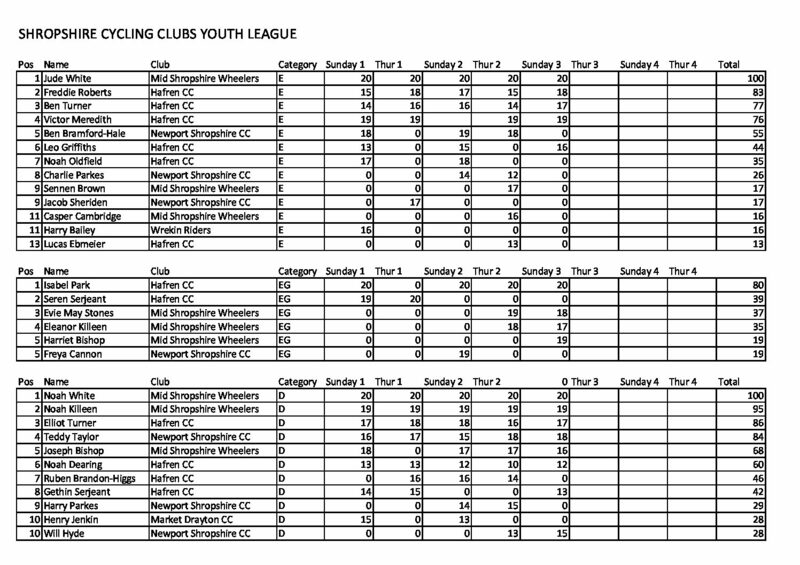 Mid Shropshire Wheelers take over the lead in the Shropshire Cycling Clubs Association Youth Circuit Race League after Round 5 at the Shrewsbury Sports Village on Sunday May 20th. With just 3 rounds to go can the Mids hold off the super strong challenge from Hafren CC who promote two Thursday evening races in June and July and the final Mids Sunday event on June 24th. Individual competitions are 6 races from 8 to count but the Club Championship takes points from all 8 races.